If you follow @vintageirishkat on Instagram, you'll know she's some woman for a DIY project. 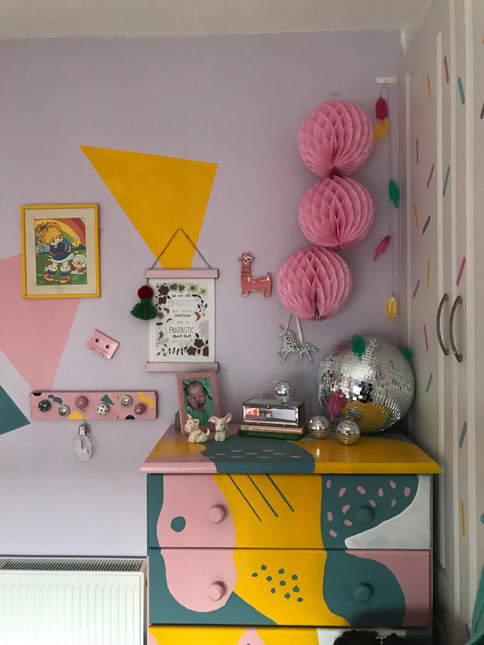 So there was no doubt in our minds when she said she was attempting a bedroom makeover for her 4 year old daughter, it was going to contain some DIY projects, and that it would turn out deadly. Why did you decide to makeover the bedroom? I decided to renovate my spare room as my four year old needed to move from the box room to a bigger space. 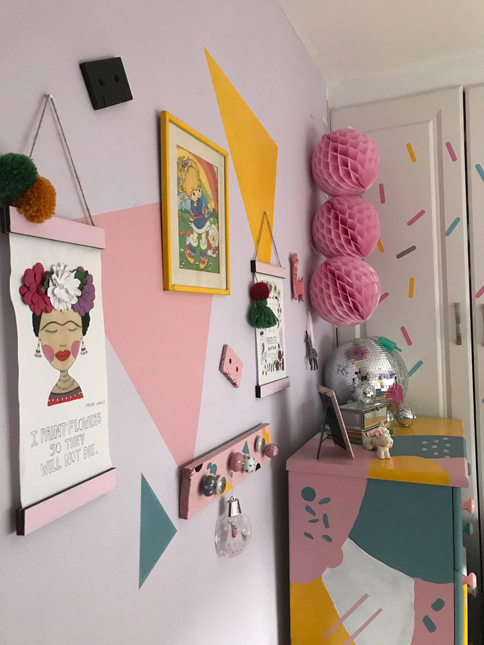 I just had a baby a couple of months previous so it was time to get the nursery ready for her and get a big girl's room ready for Nainsi.  What was involved in the bedroom makeover? It was a full on project. Because it's a spare room, of course it was filled with stuff we hardly used. I had to sell an old bed that we had for when people came to visit, clear all boxes away of old clothes and toys and then begin to strip the wallpaper from the walls. The initial thoughts of it are always worse but when you get started you are flying. 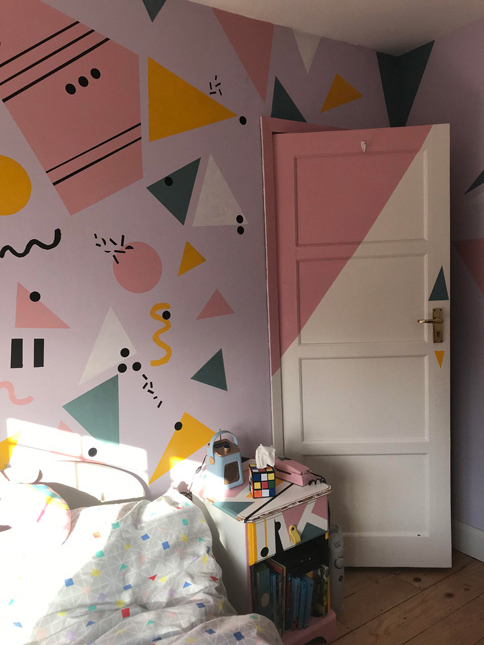 I knew all along I wanted the room to have an 80s theme and have a 'Saved by the Bell' vibe and it really turned out the way I had imagined. I had to upcycle two bedside tables and a chest of drawers so it was tough going with all the painting but it was worth it. I also painted an old 80s phone for her bedside table and I made a Rubix cube tissue holder to have little snippets of the 80s in her room. What was your bedroom makeover budget? When it came to the budget, I really didn't want to go over €150. All the paint I used was from previous projects so that was a huge saving for me. The furnishings are what really brought the price up and even that was inexpensive. I spent the most on a rug and different bed linen for Nainsi's bed. It was certainly worth it because what I didn't spend on paint, I splashed out on bedroom accessories. Oh if I had a limitless budget,I would have bought her a new bed and wardrobes but unfortunately I couldn't. 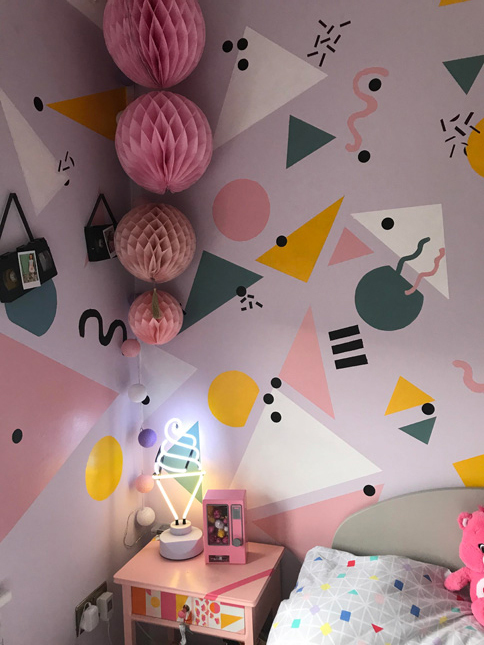 So I decided to funk up her bed with 80s bed linen and I found 80s confetti stickers online and popped them on her wardrobe to fit in with the rest of the theme. 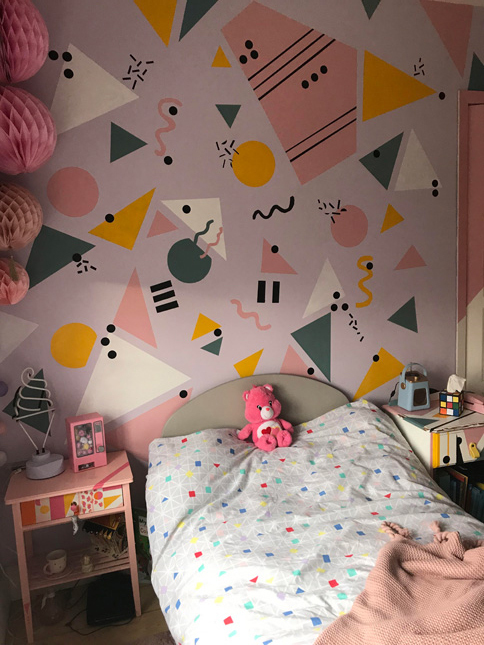 What was your daughter's reaction when she saw the bedroom makeover? I actually filmed Nainsi's reaction and she was just over the moon she couldn't stop smiling, and with that reaction it made everything all worth while. I can't keep her out of her room now.